1650.00 sqft. - 3200.00 sqft. 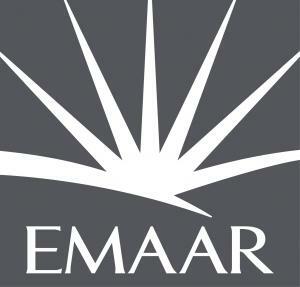 Emaar Group presents an outstanding residential project, Emaar The Privilege at Sector 102 in Dwarka, New Delhi. The Privilege offers aesthetically pleasing 3 BHK and 4 BHK apartments with an artistic appeal. Nestled amidst the spectacular lush greens each apartment comes with a modular kitchen, spacious balconies and bedrooms with landscape views, well-equipped bathrooms and good cross ventilation. The Privilege is a unique project which features an array of amenities like a yoga deck, gymnasium, jogging track, BBQ area, clubhouse and swimming pool. Strategically located, The Privilege is situated on the Dwarka Expressway in New Delhi. It offers excellent connectivity to all the major cities of NCR - Gurgaon, and Noida. Sector 102, Gurgaon is one of the most prominent localities in the National Capital Region (NCR) that is witnessing a phase of rapid growth. This location is gifted with the scenic beauty of nature in its full bloom. Lush green landscape and beautiful water bodies bestow this location with magnificence and incredible peace. This area lies at the stretch of Dwarka Express Highway which is connected to major parts of the other cities. Its proximity to Indira Gandhi International Airport, Dwarka Metro Station, Connaught Place, Delhi Gurgaon Toll and Domestic Airport makes it even more lucrative for home seekers. National Highway 8 connects the locality to the other parts of the city, making it easily accessible. The famous Cyber City lies in the close vicinity of the area making it rank high on the prominence chart. The Cyber City has added to the growth of this already growing region and is still providing avenues for further development with a renewed vigor.